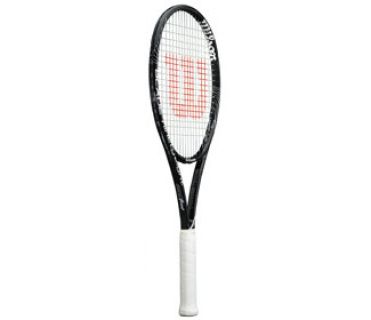 Capital Stringing & Tennis offers a large selection of Wilson performance rackets. If you do not see the racket you'd like to purchase below, we can very likely order it for you, so please contact us. The legendary Pro Staff is now updated, while still offering the same precision, stability, and traditional feel that advanced players crave. 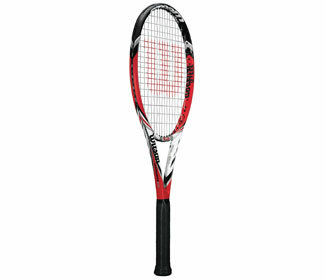 The Pro Staff 6.1 (90) BLX features a basalt construction and Amplifeel technology. Amplifeel is a handle technology that provides an even cleaner and enhanced feel in the racquet. It allows for a customized handle system providing additional handle comfort to further support maximizing the feel in each racquet. This frame features a 90 sq. in. head and a thin beam, both promoting control and stability, and players with longer, faster swing styles will love this frame's tour performance. This frame is a complete revolution of the legendary classic Pro Staff model, featuring a 100 sq. in head size, lighter weight, and improved maneuverability. The Pro Staff 6.1 (100) BLX features Amplifeel technology, which is a handle technology that provides an even cleaner and enhanced feel in the racquet. 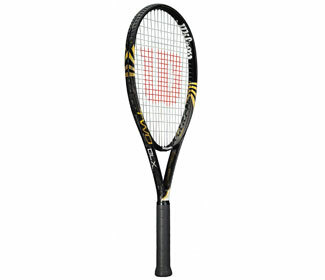 This frame will appeal to a variety of players who want a larger sweet spot and a bit more power than the 90 or 95 sq. in models. The open string pattern provides access to spin and more pop and the extended length provides more reach. This is a great frame for players who want more power in a tour-like frame. 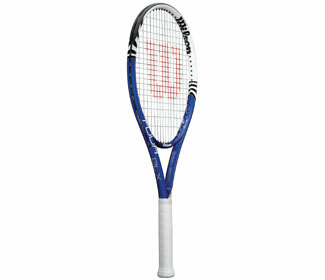 The Blade 98 has been a favorite for aggressive, hard-hitting players. It offers incredible control and a traditional response. The 98 sq.in. head size offers a perfect sweet spot, while the 16 x 19 string pattern provides more spin. The Blade 98 is also armed with Amplifeel technology, a handle technology that provides a clean, enhanced feel due to basalt inserts, customized foam, and a softer buttcap. This frame is for the modern, aggressive player who craves the ultimate in control and spin. Choose the 16 x 19 string pattern for a more forgiving response and increased spin! 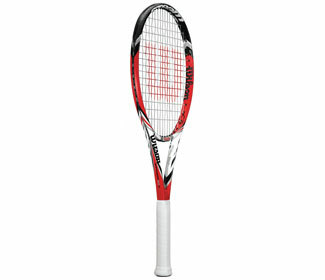 The Blade 104 is a traditional feeling frame for players who want control and spin, but need some extra power! The 104 offers players a bigger sweet spot and the most power in the Blade family. Additionally, this frame is now upgraded with Amplifeel technology. Amplifeel handle technology provides a clean, enhanced feel due to basalt inserts, customized foam and a softer buttcap. A big sweet spot with outstanding power and enhanced feel without harsh vibrations provide a frame that is best suited for advancing players who need lightweight, maneuverability without sacrificing control. The Juice Pro BLX (96) delivers generous power and spin in a tour-level frame. 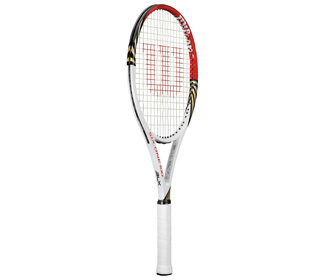 With the help of BLX technology, this racquet offers cleaner feedback and more comfort. 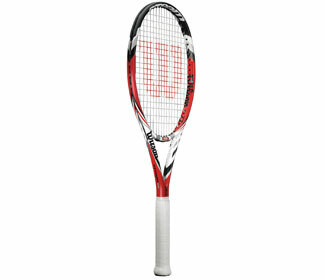 The Pro is heavier than the other models in the family for players who want a little more stability. The mid-plus head size provides better access to spin and the light weight offers better maneuverability, which will appeal to a variety of players. 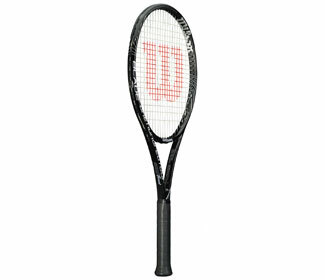 It has a unique modern feel for both aggressive players and players looking for an ideal "all-around" racquet. Recommended for players with moderate to fast swing styles. The Juice BLX (100) provides modern all-around power and spin feel for a variety of players. 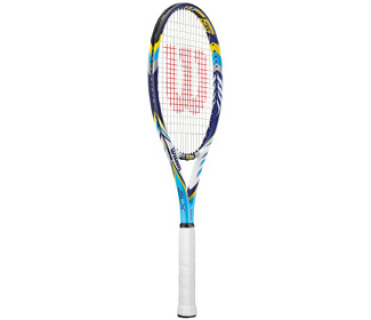 It features Wilson's new technology Amplifeel, which is a handle technology that provides an even cleaner and enhanced feel in the racquet. It allows for a customized handle system providing additional handle comfort to further support maximizing the feel in each racquet. Additionally, the Double Hole technology provides an even bigger sweet spot and more comfort. The forgiving mid-plus head and frame design are very stable and supports big-hitting baseliners looking for the new generation in all-around power and spin racquets! Recommended for players with longer, faster swing styles. 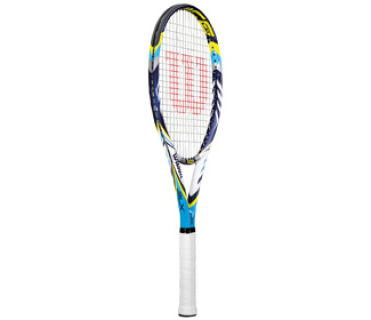 The new Juice 108 provides a modern all-around power and spin feel in a larger head size and lighter weight design for a wide range of players of all levels and ages. It features Wilson's new technology Amplifeel, which is a handle technology that provides an even cleaner and enhanced feel in the racquet. Additionally, the Double Hole technology provides an even bigger sweet spot and more comfort. The forgiving frame design is very stable in this larger head size for a greater hitting area for the new generation of all-around racquets providing power and spin. The wider beam and the extended length provide more power than the 100 model and the open string pattern offers plenty of pop. Recommended for players with moderate to fast swing styles. The Wilson Juice 100L is quick and lightweight with outrageous power. 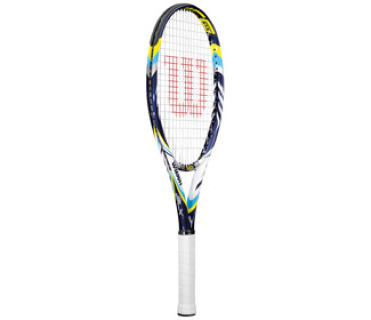 It features Wilson's Amplifeel 360 technology, which provides superior, enhanced feel while increasing racquet power and reducing weight with a full Basalt expanded handle and a new shock-absorbing engineered urethane polymer. The combination of Amplifeel 360, Power Holes and a new construction keep power high despite shaving off nearly 1 oz. of weight. 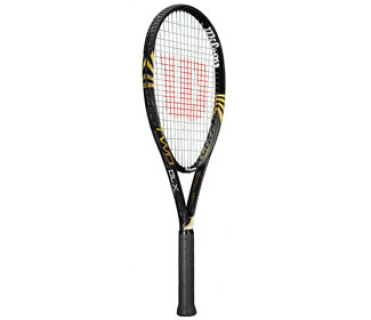 Powerful and maneuverable, this frame is perfect for players of a wide range of playing styles. The Steam 99 offers the perfect blend of power, control and spin! 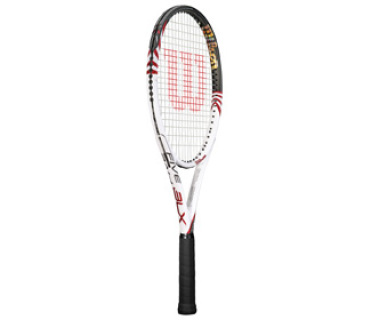 It features Wilson's Amplifeel 360 technology, which provides superior, enhanced feel while increasing racquet power and reducing weight with a full Basalt expanded handle and a new shock-absorbing engineered urethane polymer. This frame features an open string pattern to promote more spin and light weight for better maneuverability. The comfort, powerful, and clean response is sure to please today's spin-loving players with moderate to fast swing styles. If you are searching for more spin, but you don't want to change your swing style, look no further. The Steam 99S features Wilson's new Spin Effect Technology, which allows more string movement and a faster snapback for incredible amounts of spin. The unique 16 x 15 string pattern actually increases ball RPM without players needing to change their swing. The net seems lower and the court feels longer on all shots. 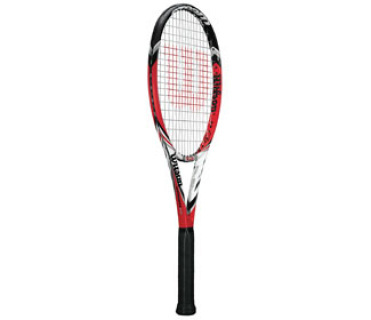 This frame also features Wilson's Amplifeel 360 technology, which provides superior, enhanced feel while increasing racquet power and reducing weight with a full Basalt expanded handle and a new shock-absorbing engineered urethane polymer. The Steam 99S is perfect for players who want a generous sweet spot, explosive power and spin, and great maneuverability. Recommended String Tension: 54-64 lbs. 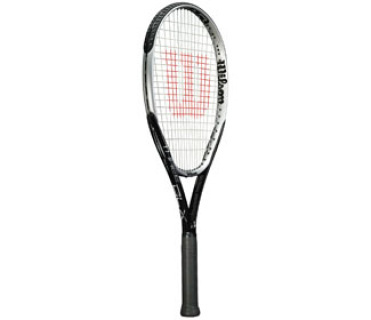 The Wilson One BLX (118) offers maximum power with great comfort and stability in this larger head size model that offers a huge hitting area. 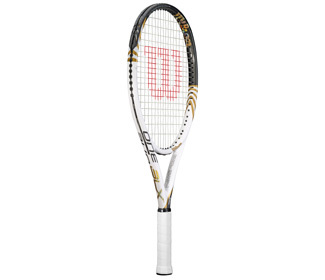 It is loaded with Wilson's innovated technologies such as Amplifeel, which is a handle technology that provides an even cleaner and enhanced feel in the racquet. 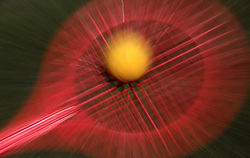 Additionally, the Linear Geometry beam design provides more stability as compared to a classic beam construction. Finally, Double Hole and AGT technology allows strings to move more freely providing an exceptionally large sweet spot and more comfort. This frame is perfect for baseline and doubles players looking for a racquet that provides maximum power and a larger hitting area from anywhere on the court. 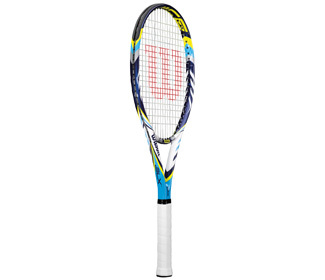 The Wilson Two BLX is a maneuverable, lightweight frame that will impress with its amazing power!  It features an oversize 110 sq. in. head size with a fan string pattern that creates a larger sweet spot for some serious power! The Basalt fiber construction provides excellent feel and shock absorption for a more comfortable frame. The Two also features Hammer weighting for even more power. If you are looking for a lightweight, super powerful frame, this racquet is the one to choose. Recommended for players with slower, shorter swing styles. 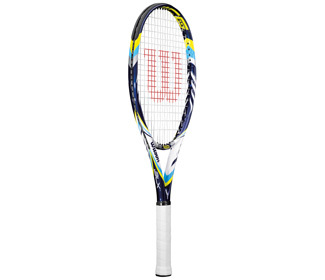 The Wilson Three BLX is designed for the player who wants the maximum in power and comfort. 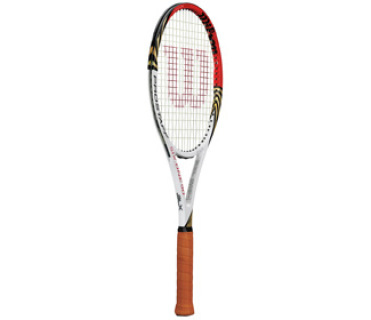 It features many of Wilson's cutting-edge technologies including Amplifeel 360, a unique handle technology that consists of a full Basalt, expanded handle with new shock absorbing engineered urethane polymer for excellent vibration dampening and comfort. This frame offers a soft and forgiving flex, so it is easy on the arm. Lightweight, power, and comfort provide the ideal frame for the player with shorter, slower swing styles. 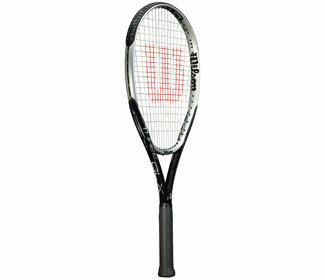 The Wilson Four BLX offers the best blend of power and comfort. It features a 105 sq. in. head size for a generous sweet spot and light 9.2 oz. strung weight for easier handling. With the Basalt fiber construction, this frame is sure to offer better comfort and a perfect feel. The Four also features Hammer weighting for even more power! High power, excellent maneuverability, and versatility all provide the perfect frame for the player with slow to medium strokes. The very popular "Five" has been redesigned in this updated model to offer a new experience of power + comfort. Featuring Wilson's unique Triad technology, the new Five offers an outstanding blend of power and comfort in a mid-plus head for improved maneuverability and feel from anywhere on the court. It features one of Wilson's newest technologies Amplifeel, which is a handle technology that provides an even cleaner and enhanced feel in the racquet. It allows for a customized handle system providing additional handle comfort to further support maximizing the feel in each racquet. The light weight and extended length are sure to please a variety of players because they provide a great blend of power, reach, and maneuverability. This frame is recommended for players with short to moderate strokes.